Often, open houses are out of the question, and photo options of the home in the listing are extremely limited. New York City's inventory is at a new low, which means properties are selling like hot cakes—that must include homes referred to as "hoarder's paradises"—homes packed with animals, mounds of clothes, and buckets of stuff, reports the New York Times. That presents an interesting problem to brokers when trying to sell. They must not only try to get the owners to get rid of some of the clutter, but also attempt to get the buyers to overlook what's left over. In other words, it's no average sale. 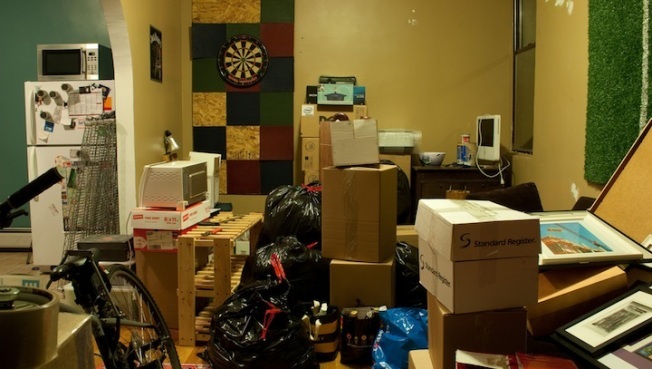 Brokers must scrub the homes down and even rent storage spaces to unload some of the stuff. Often, open houses are out of the question, and photo options of the home in the listing are extremely limited. Still, it can be done. Jeffrey Tanenbaum of Halsead Property was able to clean up an apartment on Park Avenue, make the home acceptable on the listing, and garner nine offers—one which surpassed the asking price. Fortunately for the sellers, people are eager to buy and can look past a little messiness. With the right broker, and the right game plan, a good apartment can sell regardless of the habits of the owner.